It's big, it's beautiful, and it's called ALMA. 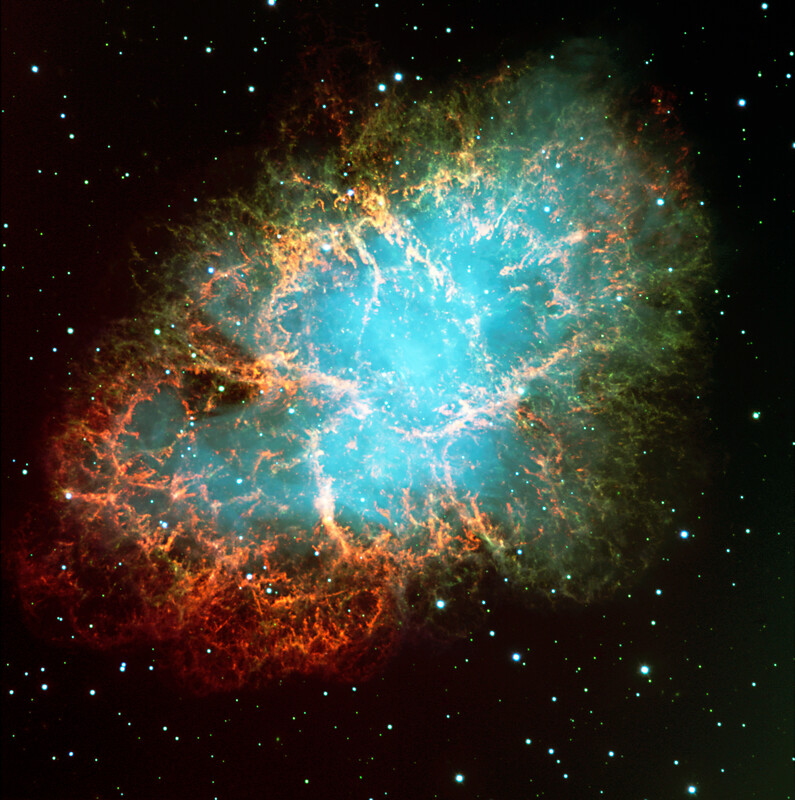 Telescopes, generally speaking, are amazing pieces of machinery. And the bigger a telescope is, the better it is, right? Right! And so with that in mind, you and all other scienists and space fans across the planet will be pleased to hear that biggest telescope ever made by human beings - the Atacama Large Millimeter/Sub Millimeter Array (ALMA) - is about to start scanning the skies and showing us parts of the universe we've never seen before. 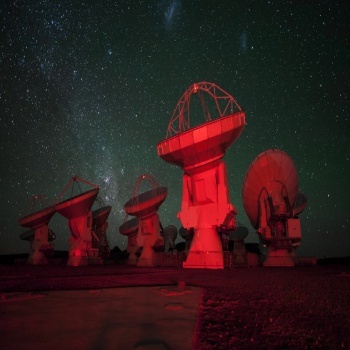 Located 16,500 feet above sea level in the northern desert of Chile, the ALMA will go fully live on March 13. It is composed of a total of 66 massive antennae, all of which work together to observe long infrared wavelengths of starlight that are invisible to the human eye. The location of the array, up high in an arid environment and about half an hour by car from the nearest town, gives it as clear a shot at these waves as is possible for something of its size on Earth. One of the primary goals of the ALMA will be to use its sensitivity to long wavelngths of light to investigate the cool, dusty areas that seem to spring up around newborn stars. In doing so, the scientists running it hope to gain new insights into star formation, going further back in time than they ever have before. If all goes well, ALMA will provide us with the most detailed information on these features of the universe that anyone has ever had access to. Additionally, the scientists who work with this information will come from all over the world; ALMA is as much a testament to the power of human co-operation as it is anything else, built as it was by a multinational team composed of people from all across North America, South America, Europe, and Asia. Of course, this is all basically meaningless when compared to the real purpose of these telescopes: amazing, high-definition pictures of space. Like this one. And this here. Oh! And this. Aren't they beautiful? And to think, their primary purpose is as data on the origins of the universe. Imagine being that beautiful and that useful at the same time. Regardless, it's exciting to think what discoveries are waiting out there, especially when we've got something so powerful to investigate them with. Happy travels, ALMA.